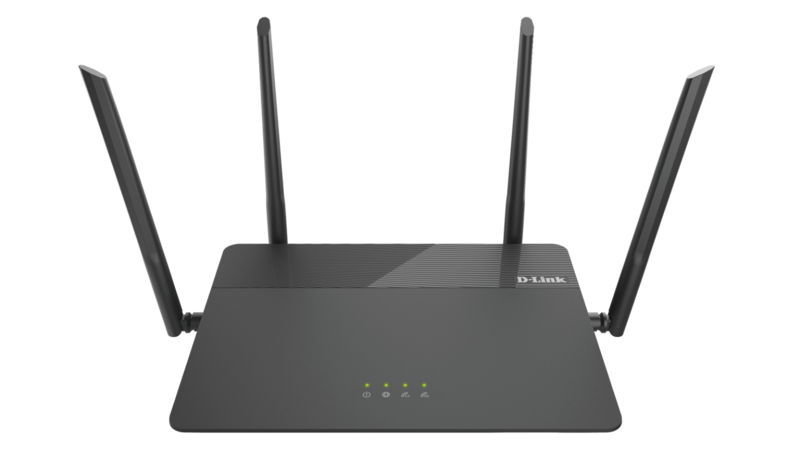 D-Link, one of the world’s biggest suppliers of home networking products, launches a new AC1900 MU-MIMO Wi-Fi Gigabit Router, D-Link DIR-878. DIR-878 is a powerful wireless networking solution designed for Small Office/Home Office (SOHO) environments. By combining high-speed 802.11ac Wi-Fi with dual-band technology and Gigabit Ethernet ports, the DIR-878 provides a seamless networking experience with a high degree of convenience and flexibility for SOHOs. The DIR-878’s SOHO-class advanced security features help keep data safe from unwanted network intruders. These features together with the increased range and reliability of Wireless AC technology, help provide a protected network for devices in your home or office. The DIR-878 upgrades your network to the latest dual-band high-speed wireless technology to bring you lightning-fast Wi-Fi speeds of up to 1,900 Mbps so you can meet the increasing demand from multimedia applications. Enjoy seamless high definition streaming media, Internet phone calls, online gaming, and content-rich web surfing throughout your home or office. In addition, 10/100/1000 Gigabit Ethernet ports give you solid, dependable wired performance for devices such as Network Attached Storage (NAS), media centers, and gaming consoles. The built-in Quality of Service (QoS) engine allows you to prioritize important traffic to ensure that your favorite applications are receiving optimal bandwidth. The DIR-878 brings a host of new technologies to create the best wireless networking experience to date. With 802.11ac Wave II technology, the DIR-878 provides Gigabit wireless connectivity with combined transfer rates of up to 1,900 Mbps (1300 Mbps Wireless AC + 600 Mbps Wireless N). Featuring a 3x3 MU-MIMO antenna configuration, the DIR-878 offers better data rates, fewer dead-spots, more coverage, and increased reliability. Upgrade your home or office with the latest AC Wave II technology by matching the DIR-878 AC1900 MU-MIMO Wi-Fi Gigabit Routers with AC Wave II devices like the DWA-192 AC1900 Wi-Fi USB 3.0 Adapter to take full advantage of this speed. Sharing your Internet connection doesn’t have to be a complicated process; just open a web browser to access the setup wizard and follow the easy step-by-step instructions to get started. Configure, apply, and set up WPA/WPA2 wireless security in minutes with the wireless network setup wizard, or use Wi-Fi Protected Setup (WPS), which establishes an encrypted wireless connection to new devices without the need to enter settings or create passwords. The access control features allow you to restrict access to your network giving you greater control over network users. If setting up through web browser is not your cup of tea, D-Link QRS app (IOS and Android) will able to guide you through the setup and running effortlessly. Ever since the introduction of 5 GHz wireless technology, users have had to blindly guess whether the 5 GHz or 2.4 GHz band would provide them with the best networking experience. D-Link’s Smart Connect Technology eliminates this confusion by automatically distributing devices to the optimal network. Simply initiate a connection to the DIR-878 and its advanced algorithms will determine the best network for your device to connect to, thereby ensuring a faster, more reliable, and hassle-free experience for your friends, colleagues, and family. The DIR-878 AC1900 MU-MIMO Wi-Fi Gigabit Router is now available at authorized retailers, resellers and distribution partners at a recommended retail price of Php 8,775.